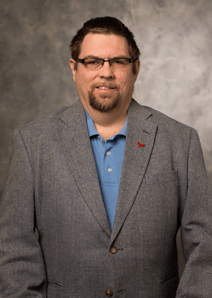 As chief engineer of the radio station since 2009, Mark Voris is responsible for the physical building and maintenance of all transmitter sites for KVSS, KOLB, KJWM, KFJS, K207BY and any future sites that are built. He also builds and maintains the studios in Omaha as well as remote studios in Lincoln, Grand Island and any future remote studios that are built. He maintains logs and other paper work and signal measurements and makes sure our stations are compliant with FCC rules and regulations. He has been in broadcasting for many years, starting out in television and moving on to radio. 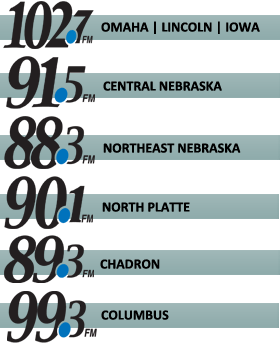 Born and raised in North Platte, he and his family – wife, Janet, and two sons – moved to Cozad, where Mark worked as an engineer with the Nebraska Rural Radio Association’s stations KRVN, KNEB and KTIC. A member of St. James Parish in Omaha, Mark’s favorite prayer is the “Our Father.”.